How one Montana resort is using tech to streamline its business practices. Just north of Yellowstone National Park, in the heart of Paradise Valley, sits a relaxing getaway for travelers from all over the world. Chico Hot Springs Resort and Day Spa offers a little piece of paradise for visitors, but for the managers tasked with scheduling and managing payroll for 175 employees, it used to be a different story. Before 2012, Hotel Manager Machele Shifley used pen, paper and Excel to create employee schedules, and a POS system to keep track of employee time clocks. Chico Hot Springs' main propery spans 152 acres and offers naturally-heated pools, a saloon, dining room, board room, wine cellar, convention center, poolside bar and grill, gift shop and a variety of accommodations. Before switching to Orbital Shift - a web-based employee scheduling and time tracking software - Machele and the other managers struggled to keep staff on the same page. Machele also finds the ability to create templates and copy and paste schedules from week to week extremely helpful. With 10-12 employees who work the same front desk schedules most weeks, the intuitive scheduling platform became a life saver. 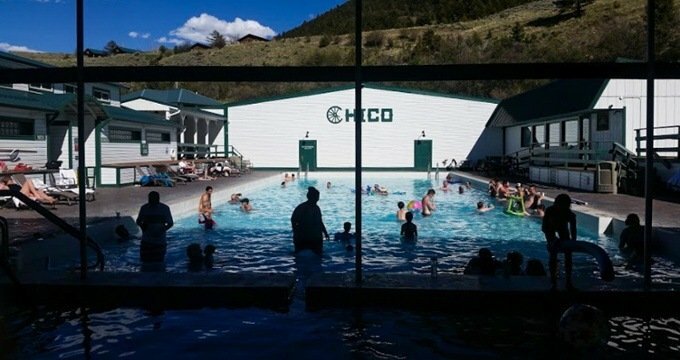 But Chico Hot Springs has done more with the system than just employee scheduling, time clock and payroll integration - they’ve also customized the platform to fit their specific needs as a business. By entering their board room, convention center, wine cellar and dining room into the system as employees, and scheduling the events in those venues onto the calendar, they’ve created a simple way to keep track of what’s happening in which location at all times. The ability to set a time limit on early clock ins has also helped Chico Hot Spring cut costs year after year, and doing payroll is easier than ever before. Chico Hot Springs has big plans for the future. They just bought the neighboring land and are hoping to turn it into hiking trails and conservation areas. Now more than ever they want to use technology in a way that will help them grow and improve customer service without taking away from the rustic feel so many people visit their scenic getaway for. And if they can do that while supporting other local businesses - even better.